THE HOME CARE INDUSTRY IS BOOMING! **Current Population Reports, "Americans with Disabilities"
The #1 full-service home care franchise in the world! With 28 years of experience, we are the most experienced home care franchise and we offer a wider range of full-service (non-medical and medical) home care services than any other home care franchise, enabling you to penetrate 100% of the senior home care market, not just 15% to 70% as with other home care franchises. 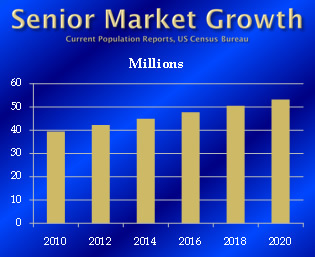 But we also penetrate the non-senior market … the other 30% of the home care market! -- that means more revenue potential for you! We also offer the most individual additional revenue streams of any home care franchise -- 10 in all -- even more revenue potential for you! 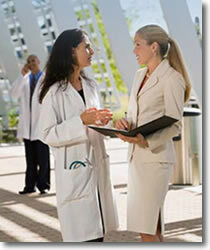 More, we also "pay for ourselves" with the most robust national accounts program in the home care industry. That's why 40% of our franchise owners have purchased additional franchises! Imagine growing a business in an exploding industry while contributing to your community by providing the highest quality services to people who depend upon you -- our owners love what they do; you can too! No wonder Entrepreneur Magazine ranked Homewatch CareGivers higher than any other full-service home care franchise in their January 2009 "Franchise 500" issue! If you want a recession-resistant business in an exploding market in which you can make a valuable difference in peoples' lives with the home care franchise industry leader that enables you to penetrate 100% of the market, your choice is Homewatch CareGivers! The best training and support in the home care franchise industry! LIFETIME TRAINING GUARANTEE! We'll never charge you to train your staff employees – ever! Click on Request Information button above for FREE information on how to start a Homewatch CareGivers franchise today! Please Note: Homewatch CareGivers franchises for sale, and other franchise opportunities, business opportunities, businesses and franchises for sale on this web site are not to be considered as an "offering", "franchise offering", suggestion or recommendation by GlobalBX. The franchises, businesses and business brokers seen on this web site submit their own individual content. This advertisement depends entirely on the truthfulness of the information provided by our advertisers which includes, but is not limited to, franchisers, franchises, franchise brokers, franchise consultants, business sellers and business brokers. As always, GlobalBX recommends that you consult a lawyer, financial consultant, accountant or professional advisor before buying a franchise or business opportunity or any type of business. By submitting this form and requesting more information, you have agreed to all terms and policies of GlobalBX and the business and franchise offerings listed here. Please review our Terms & Conditions for more information.